The bedrooms are full of character and feature fabulously comfy bed and duvet. Enjoy a relaxing stay at ibis Styles Birmingham Airport NEC, located equidistant between the airport (BHX) and the NEC Exhibition Centre. 100% smoke-free. Expect a warm welcome from the friendly staff! Ideal central location for accessing the Midlands either by road or within walking distance of Birmingham International Airport and Railway station. Unwind in a bright and comfortable guest room or upgrade to an Executive Room to enjoy access to the new Executive Lounge. Indulge in international cuisine at one of 3 restaurants or relax with cocktail in the Lounge Bar. The Hilton Birmingham Metropole hotel also boasts a fully-equipped LivingWell Health Club and indoor heated swimming pool. 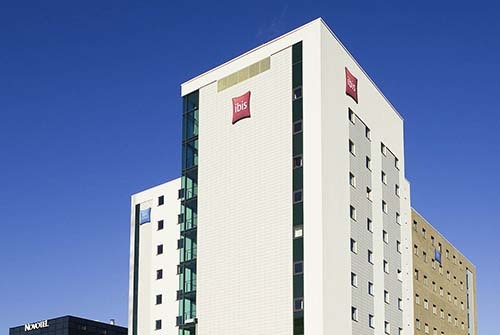 Ibis Birmingham International Airport hotel is an economy hotel located 100m from Birmingham International Airport, within walking distance to the NEC, Resorts World, Genting Arena and BHX train station. We offer 162 recently renovated bedrooms, free WIFI, restaurant and bar open 24/7. You can pick up a snack or relax with a nightcap in the friendly bar. 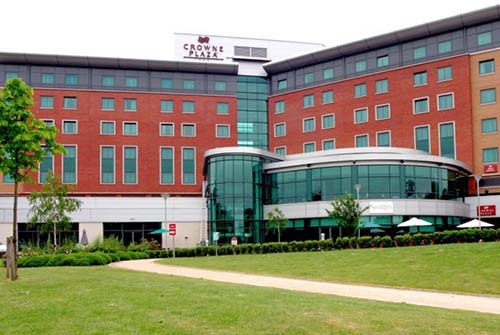 Here at the Crowne Plaza Birmingham NEC hotel you can enjoy comfortable contemporary styled accommodation near to Birmingham Airport, Birmingham NEC and the Genting Arena. 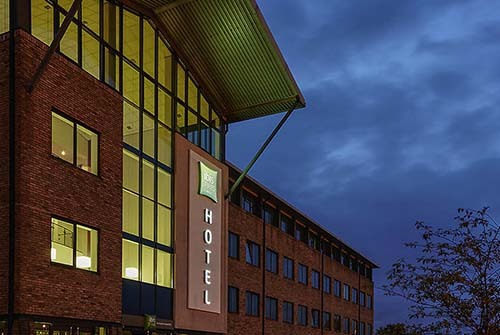 The hotel offers airport parking packages, stylish dining, 11 meeting rooms, a business centre, is completely non-smoking and is ideally located for shopping and day trips to Stratford-upon-Avon, Shakespeare’s birthplace and Cadbury World. 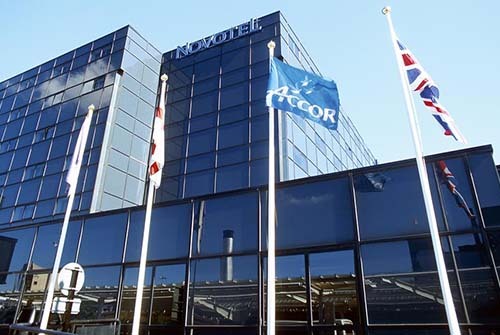 The Novotel Birmingham Airport is the closest 4 star hotel to the Arrival and Departure Terminals, just a minute's walk to the airport, and is a 90 second complimentary skyrail journey to the National Exhibition Centre and Birmingham Railway Station. 195 guest rooms all have internet access and satellite TV, and the Elements Restaurant and Bar provide with fine food and drinks. A warm welcome awaits you at the Arden Hotel. 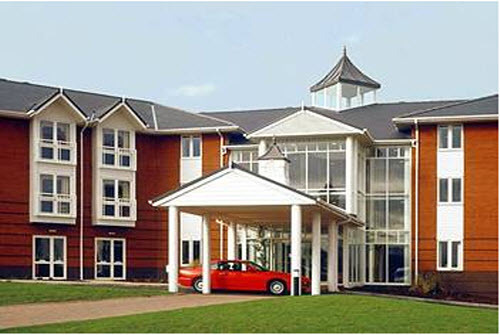 Located in the hub of the best communications network in the UK, with free parking for 300 cars,, the Arden Hotel prides itself on quality, customer service and value. It boasts great fine food and wines in its restaurants, as well as the ultimate in accommodation requirements in each of the bedrooms and conference facilities. From business to family groups, this hotel will serve your needs. 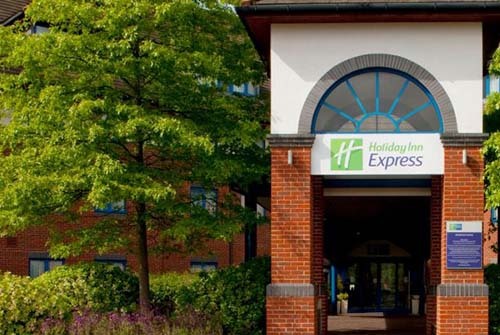 Located on the grounds of the NEC, this hotel offers free WiFi to all existing IHG rewards members, and there are flat-screen televisions in every single one of our quality yet cheap rooms. Within easy distance of transport centres, such as the train station, travelling to and from other places in the city is simple. 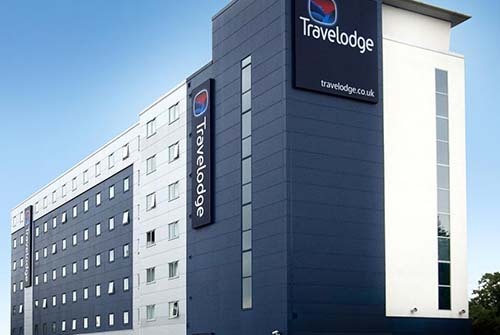 Less than a mile from Birmingham Airport, this hotel is perfect for anyone catching a late or early flight, as well as those planning to explore this vibrant city. Both the Birmingham NEC and National Motorcycle Museum are less than 2 miles away. The Birmingham Railway Museum and Edgbaston Cricket Ground can be found a little further afield, making Birmingham Airport Hotel an ideal choice for your stay. An on-site Bar Cafe with fully licensed bar is also available and the hotel is open 24 hours to accommodate those taking early or late flights. 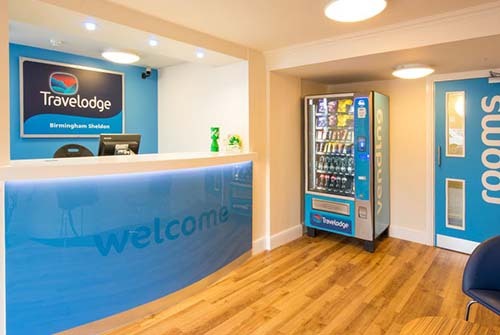 The hotel has recently been updated with our fresh new look and features Travelodge’s new room design complete with Dreamer Bed so you can be sure of a great night’s sleep. 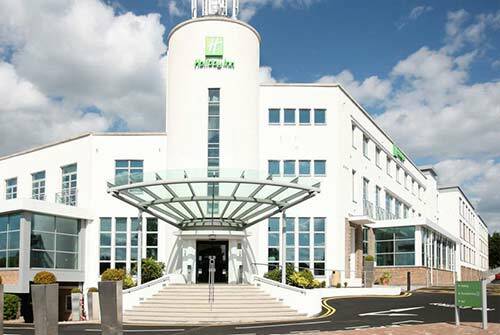 A smart Birmingham Airport hotel with a leisure club, an Italian restaurant and a conference centre Holiday Inn® Birmingham Airport hotel is 2 miles from Birmingham Airport (BHX). We offer a free shuttle to the airport, Birmingham International train station and the NEC, and a convenient Park, Stay & Go package so you can leave the car at the hotel and get to your flight refreshed. 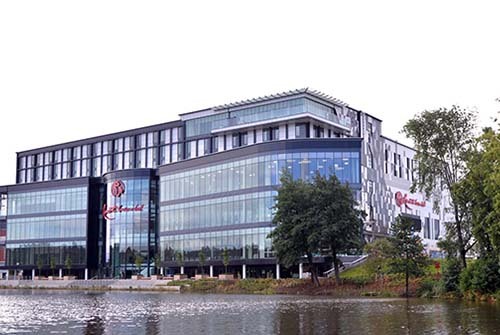 We’re moments from the M42 motorway and close to the M6, so events at the Genting Arena and the Vox Conference Centre are minutes away, and you can drive to Birmingham city centre in half an hour. Kids will love the Cadbury World chocolate factory and the zoo, rides and attractions at Drayton Manor Theme Park, both within a short drive. Our Aspire conference centre has 14 meeting rooms for up to 600 guests, including the Lancaster suite with its own private entrance and bar. 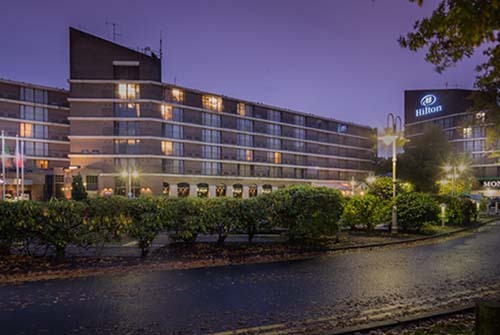 At only 3.7 miles from Birmingham Airport and 7 miles from Birmingham New Street train station, Birmingham Sheldon Hotel is ideal for guests travelling to and from the airport, as well as anyone visiting the region itself. Guests can enjoy days out at the Tyseley Locomotive Works, 3.5 miles away, and the National Motorcycle Museum, 6.2 miles away. If you’re looking for a country escape, nearby Baddesley Clinton Manor House provides breathtaking scenic views. 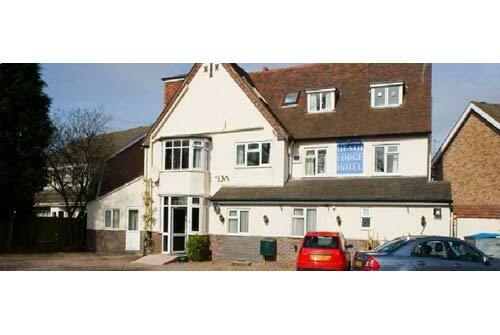 A Toby Carvery is located adjacent to the hotel and offers an easy and relaxing place to eat.